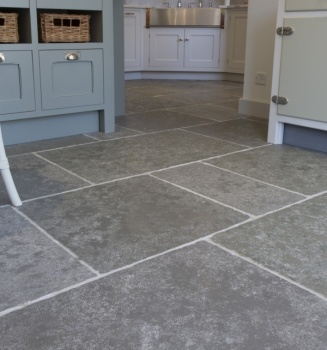 Bastille Limestone Flags is a semi honed and tumbled with shades of deep grey and blue grey in the colour variation of the stone, it is highly durable with nearly 0% porosity. 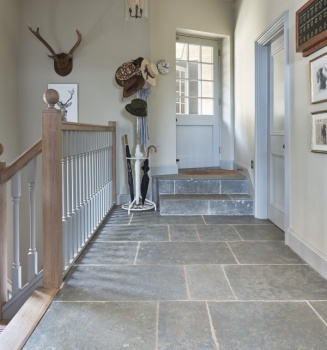 The large flags and the aged appearance make it a very popular for barn conversions or period properties. 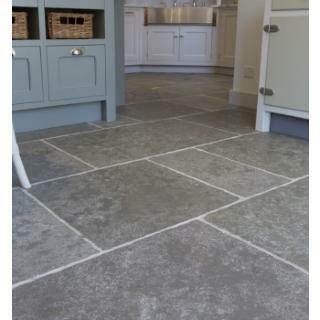 This limestone flooring is very popular in kitchens and hall ways and is perfect for an aged look.